23rd of February 2017: Springtide-the colorful festival of spring was held with the traditional lighting of lamp at MBS International School, Dwarka where the little MBSians of Nursery and KG put up a spectacular show of dances and skits in the school lawns. 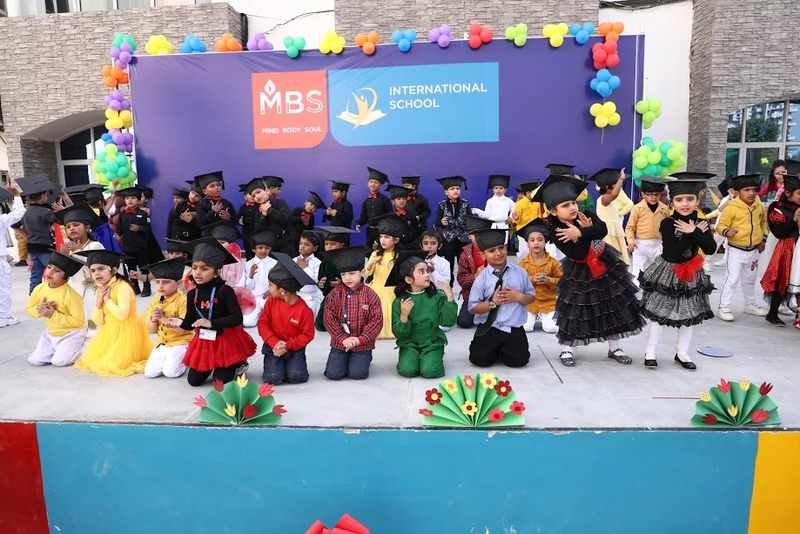 The Graduation Ceremony of Kindergartens was witnessed for the success of students graduating from KG to class I, moving confidently in the direction of their dreams. It was the conclusion of one chapter, yet the beginning of another. In the said ceremony, Ms. Vanika Kharbanda & Ms. Kanchan-Parents also shared their good experience with the school teachers & management. Mrs.Seema Ahuja-Director-Academics & Administration, Mr.Atul Wadhawan-Principal, Mrs.Vandana Khanna-HM Our Managing Editor S.S.Dogra was the Chief Guest of the Graduation Ceremony. In the end, , Ms. Sangeeta-Coordinator paid the vote of thanks. The whole ceremonial event was nicely anchored by Ms. Lakshmi.